Welcome home to one of Medford's charming subdivisions! 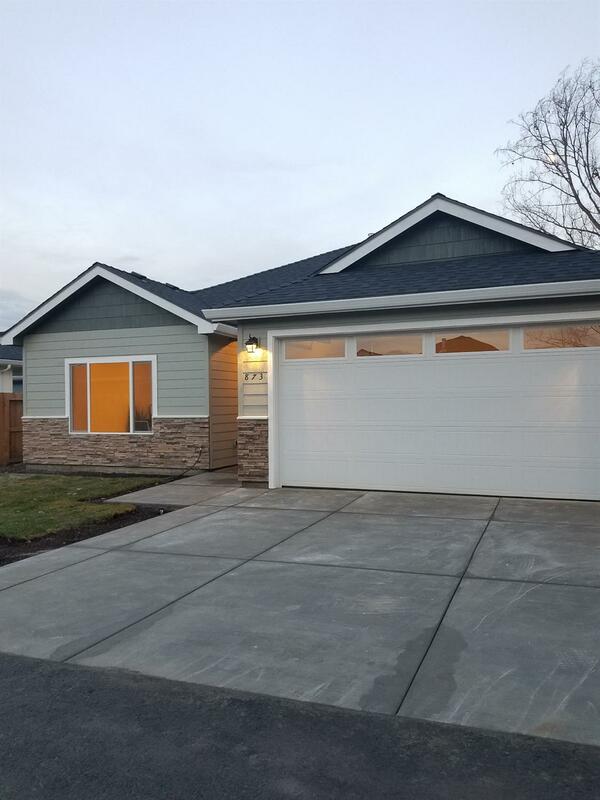 3bed 2ba offers Open Kitchen design w/ large island, shaker style cabinetry, full slab granite counters, stainless steel appliances & breakfast bar.Designer neutral colors complimented with vaulted ceilings, energy efficient lighting throughout.Master bedroom w/walk in closet! All bedrooms have good sized closet space not to mention storage throughout home-entry way closet & separate hallway linen closet! Spacious living room opens to dining area w/lovely french door allowing for easy access to covered patio & huge fenced backyard! 2 car garage is designed for storage. Lots of room to park toys! Energy Efficiency includes top notch HVAC, insulation & lifetime warranty Milguard Windows just to name a few items..No through street completes this dynamite set up!Close to Stewart Medical Plaza, Fitchner-Mainwaring Park & Stewart Golf Course, not to mention schools (Griffin Creek El& S.Med HS), shopping & more.NEED MORE PARKING?CALL AGENT! Directions: NEW STREET. GPS may not work. Merlot Valley Subdivision is between Kings Hwy & S. Stage Rd. Take either S. Stage Rd or Garfield to Kings Hwy. Turn onto Kings Hwy. Turn right onto Tannin. House is on left side of street.